Samsung's advertising has been somewhat hit or miss lately, ranging from pretty decent scifi ads for the Galaxy Gear to cringe-worthy infomercials for the same product. But it looks like there's been something of a shift in the company's promotional direction, or at least in the way that it responds to Apple's sometimes hyperbolic TV ads. 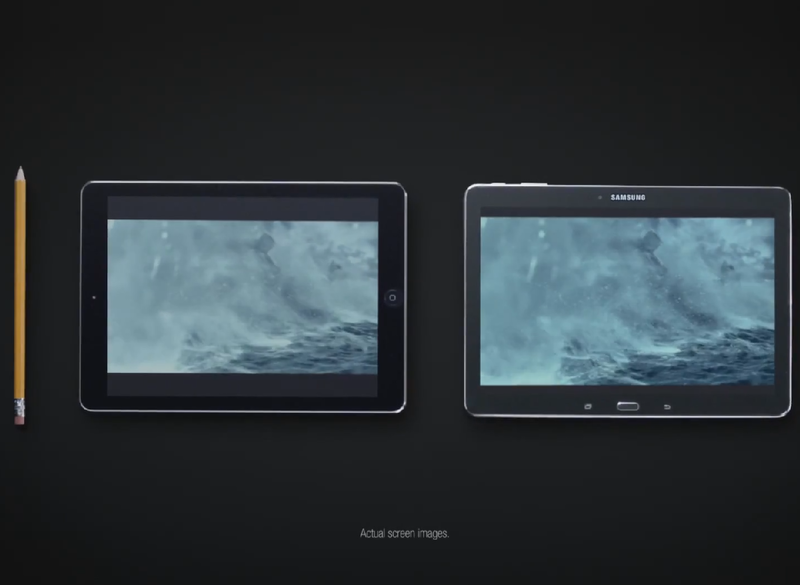 Check out this new one-minute spot for the Galaxy TabPRO 10.1. The ad plays up the TabPRO's high-resolution screen with a better aspect ratio for movies versus the iPad Air, plus its ability to fit multiple apps on the screen at once, which has been a staple of TouchWiz for a while.